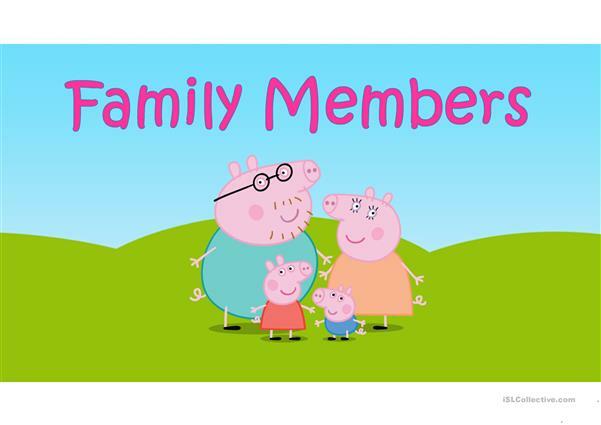 This is a fun powerpoint presentation about family members with sounds. 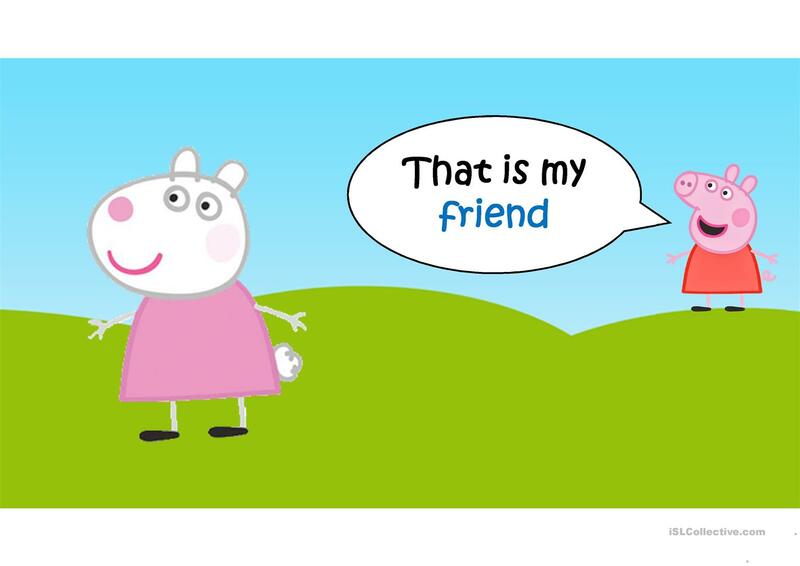 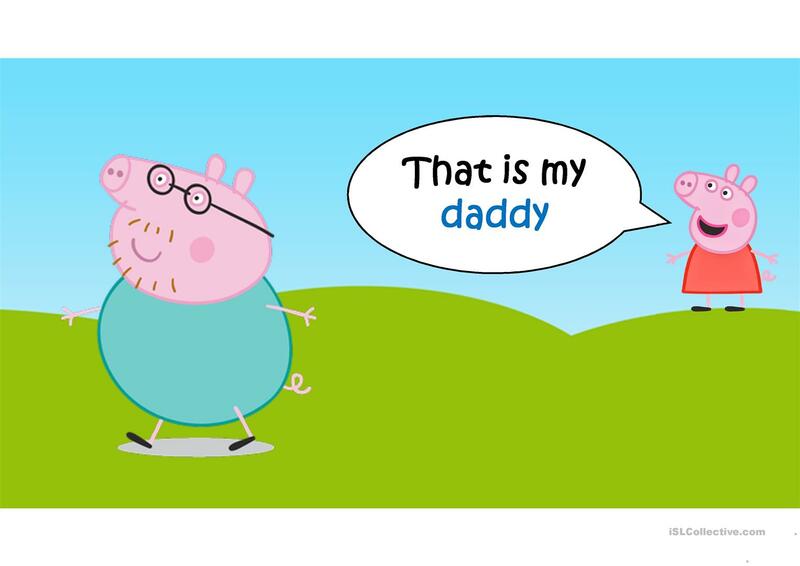 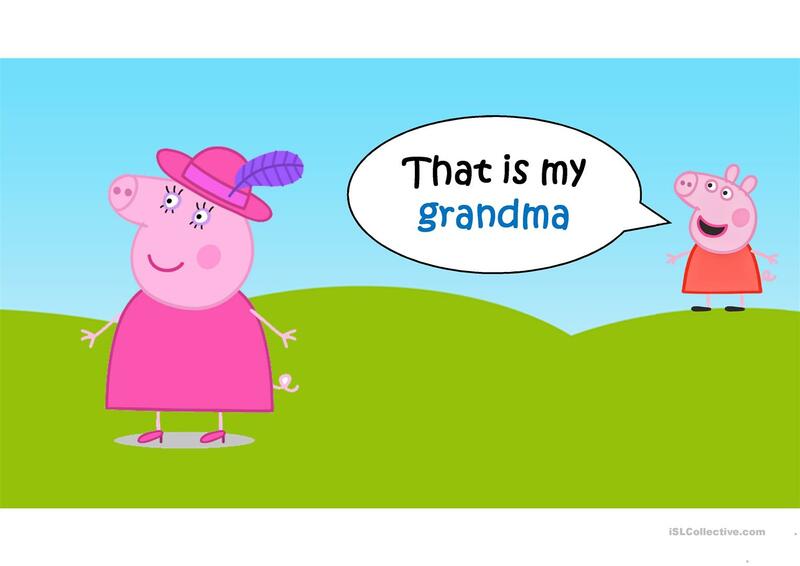 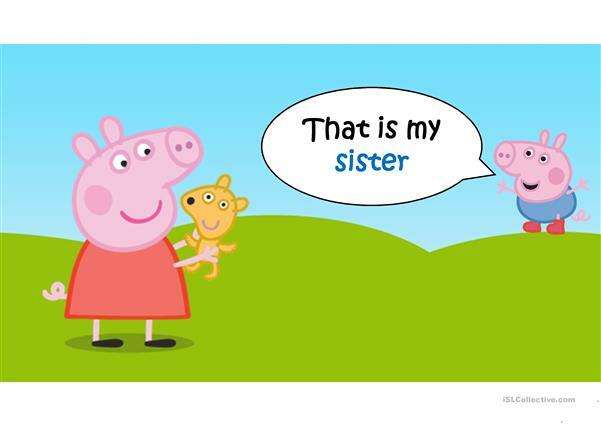 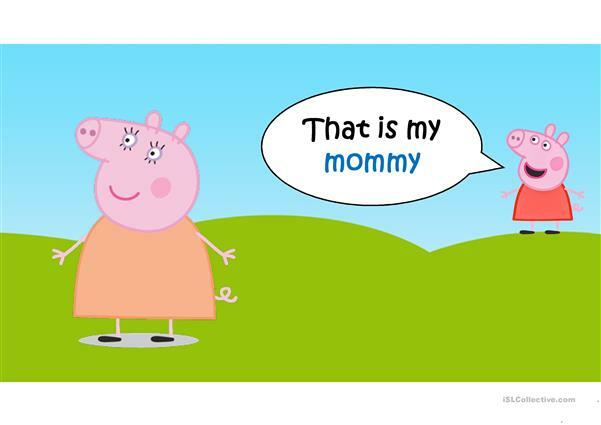 The kids can learn the vocabulary and have fun with Peppa Pig characters! 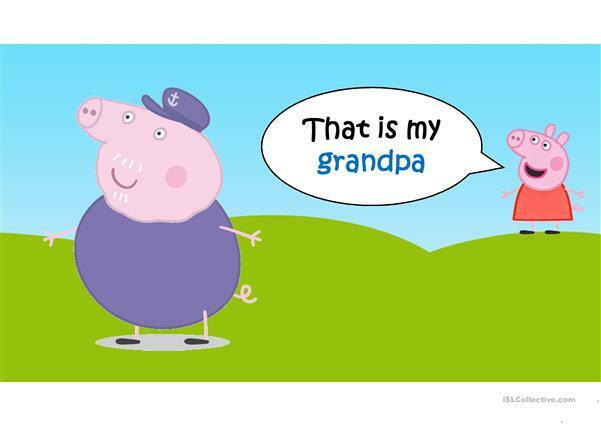 Words taught: grandma, grandpa, mommy, daddy, sister, brother, friend and teacher. 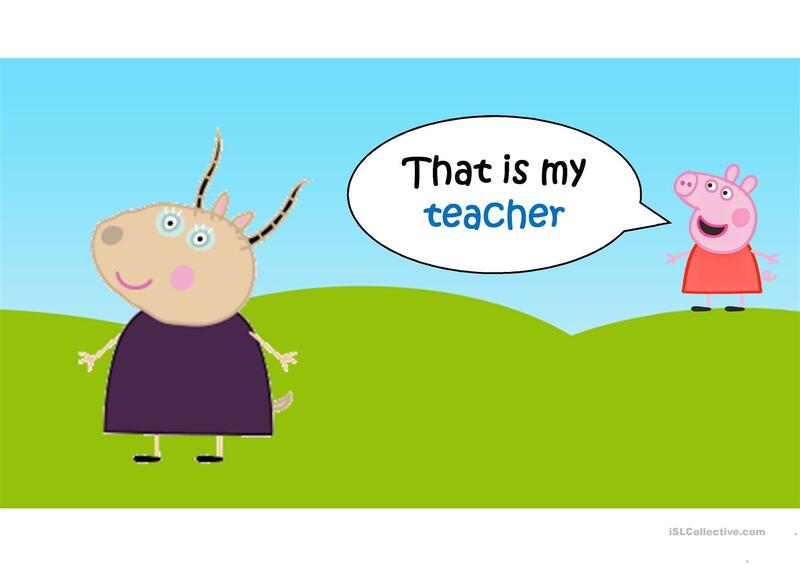 The present downloadable teaching material is best suited for kindergartners and nursery school students and students with special educational needs, learning difficulties, e.g. 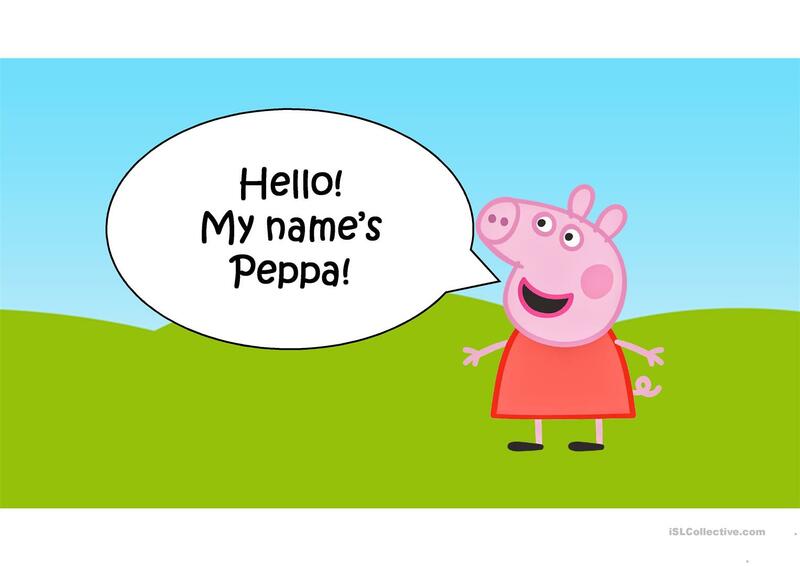 dyslexia at Beginner (pre-A1) level. 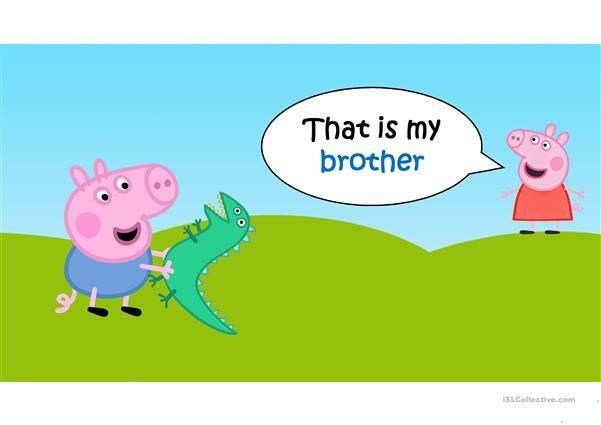 It is aimed at revising Nouns in English, and is useful for developing your groups' Listening and Reading skills. It is focused on the theme of Family. elenlobo is from/lives in Brazil and has been a member of iSLCollective since 2011-08-24 19:03:09. elenlobo last logged in on 2019-04-02 14:32:41, and has shared 6 resources on iSLCollective so far.